Should you pay to privatise your domain? 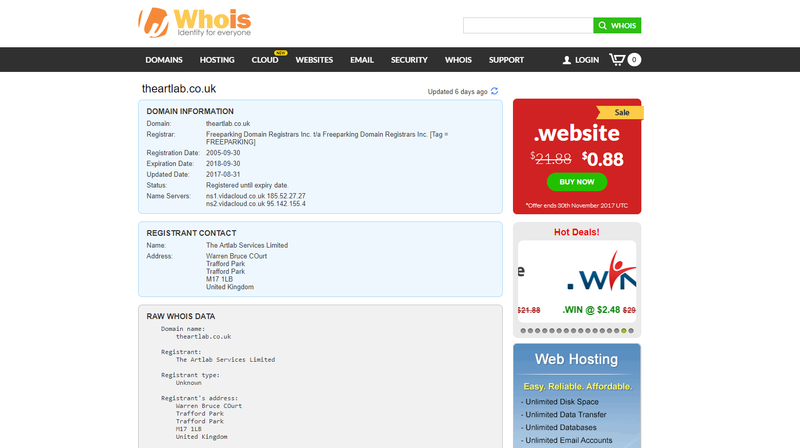 When you register a domain name your contact details are published online as part of the WHOIS database. The details include your name, email address and phone number. Run by ICANN, the organisation which maintains important internet databases, WHOIS serves several important purposes. But the database is also be used by spammers and identity thieves. Domain name registrars like GoDaddy and 123Reg allow companies to mask their personal information in exchange for a small fee. But hiding your details may cause some problems, particularly with your sites SEO performance. In this blog post, we investigate arguments for and against domain privatisation to help you decide what to do with your website. The Artlab’s WHOIS information is not private. If you don’t choose domain privacy, your details will get picked up by spammers. Within days, you will be flooded with calls about low-quality SEO and social media services – as well as messages about virtual assistants, mailing services and all sorts of other services – often from people overseas. When your domain is nearing expiration, you may also receive calls from companies offering ‘renewal services.’ These often turn out to be scams. If you do receive one of these calls, make sure you verify it with your registrar. Under ICANN’s user agreements, WHOIS may be used for any lawful purposes EXCEPT marketing and spam. They are aware of the problem of high volume automated scraping tools, but the problem is, they don’t seem to be that good at stopping it. 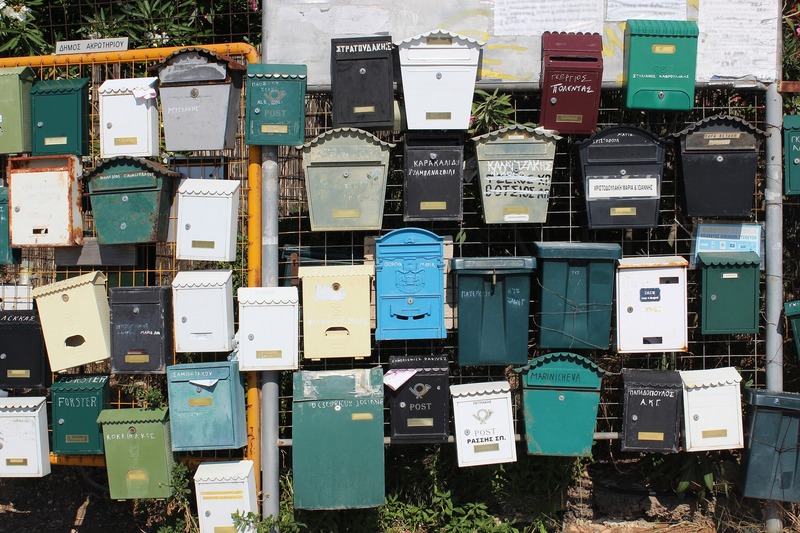 Online scraping tools like Scrapebox, for example, allow users to gather contact information on mass from the WHOIS database using a list of rotating proxies to stop you from being detected as a spammer. Spam can harm your productivity, but it’s the least of your worries if your identity is stolen. A 2017 report from fraud prevention experts Cifas found that 20% of identity fraud victims were company directors, even though they make up less than 9% of the UK population. Cifas say this is because there is already a lot of private data published about company directors online. At a time when identity fraud it at an all-time high, make sure you don’t fall into the trap thinking that it won’t happen to you and take steps to protect your personal information. Remember though, that WHOIS is not the only place your information will be published though. Other places Companies House and social media are often more lucrative targets for fraudsters. You can also minimise the risk of this kind of fraud by using your business contact details rather than your personal information. Company directors are at risk of having their identity stolen. Like every other digital asset, domain names can be hacked and stolen by cyber criminals. This is called domain hijacking. When someone steals your domain, your URL is often redirected to a site containing malware, which has the potential to seriously annoy your customers. The most basic information that someone needs to steal your domain is the registrar name and the administrative email address associated with the domain. From here a hacker will hack your email address and use that account to gain access to the domain by the back door. By opting for WHOIS privacy, you can prevent hackers getting access to your email address in the first place. But don’t forget that you can also prevent your domain from being hijacked by making sure your email is protected. Make sure you choose a strong email password and enable two-factor authentication. This is good practice even if your email address is hidden. It is also important that you choose a good, trustworthy domain registrar. In some of the most common domain hijacking cases, the websites are compromised following a hack on the domain registrar themselves. This happened earlier in 2017 when Gandi had 750 domains stolen and redirected towards malware. One final reason to use domain privacy protection is that it is relatively cheap. Most of the larger domain registrars offer the service for less than £5.00 per year. As with so many other things in SEO, there is a good deal of debate about whether privatising your domain will have an impact on how your company appears in search engine rankings. There are some people who claim that privatising your WHOIS data can have an impact on SEO. Wordfence founder Mark Maunder claimed that a new domain started getting traffic and growing after they removed a mask from the domain registrar. This SEO marketer also claimed that one specific change by his domain registrar had an impact on his search engine performance and, consequently, his website traffic. In this case he transferred the website to a new registrar and they used a privacy company with a registered address in Panama, while his key customer base was in the United States. These, however, are isolated incidents and have not been proven on any large scale. As far as we are concerned, the jury is still out. 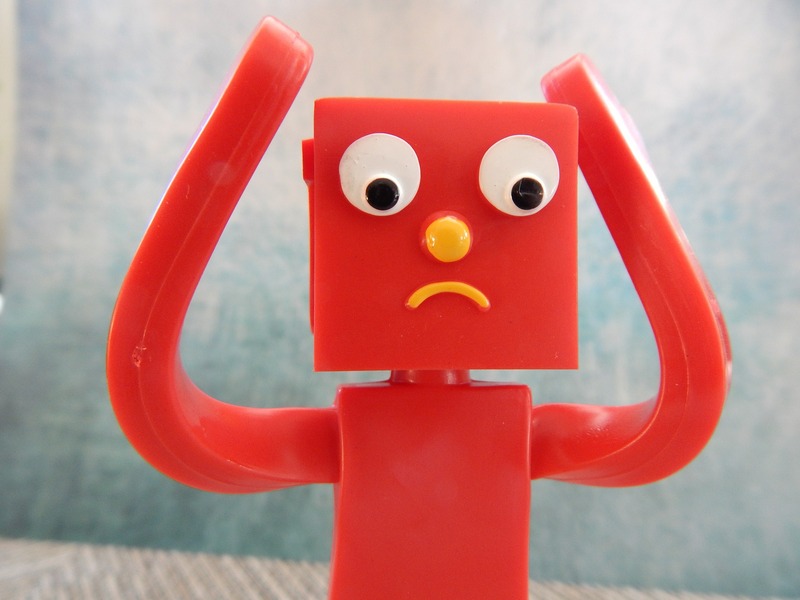 It is unclear whether domain privatisation impacts on SEO. Customers see transparency as a mark of trust. And so, anything you can do to improve transparency should be considered. Sophisticated buyers will go to great lengths to pre-vet companies and their products. Searching through reams of product reviews and social media comments. In some industries customers may even go as far as to check WHOIS data to verify that a business is legitimate. If your WHOIS data is private, they might conclude that you have something to hide. We believe this is unlikely in many industries, particularly if you have contact information published elsewhere on your website. Domain registrars who protect your private data are not always able to guarantee your anonymity. This is because they are bound by legal requirements to share the identity of customers. But this generally relates to legal matters, so as long as you are not doing anything illegal you should be protected. If your name is not listed on the WHOIS database, some people claim, this means you do not technically own the domain. Instead, the domain name registrar does. Now we have come up against our fair share of unreliable registrars in the past, but having a registrar steal your website is very unlikely. That said, you should make sure you choose a reliable host with lots of good customer ratings. We can recommend good registrars if you are unsure about this. If you do not mind spam and are satisfied that you are protected from identity fraud and domain hijacking, then it may be worthwhile avoiding privatisation to make the most of the SEO potential. You can always test the SEO impact of domain privacy on your website by activating it or deactivating it for a short period and monitoring your search appearance and traffic. The best way to learn about SEO performance is to test your ideas. If you would like any more advice on SEO, or would like us to look under the hood of your website to see any problems please get in touch. Call: 0161 974 0974.